A 403(b) plan is similar to a company-sponsored 401(k) plan. 2. Why Roll Over TSA 403(b) to IRA? 3. When Can You Roll a 403(b )Plan Over? A 403(b) plan, also called a tax-sheltered annuity, is a tax-advantaged retirement plan for tax-exempt organizations, ministers and public school employees. If you leave your job, you typically have a few options with what to do with your 403(b) money. You may have to check with both your former employer, and your current employer if you've moved on to a new job, to determine your available options. 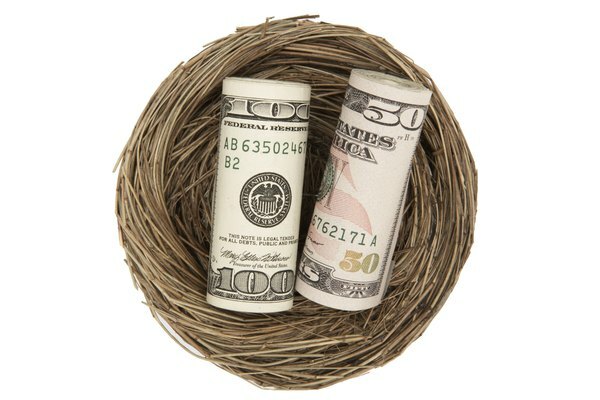 Depending on your employer's rules, you may be able to rollover your 403(b) plan to another employer or to an IRA or 401(k). Other options may include cashing it out or leaving it alone, but penalties and fees can apply. If you leave your job to take on new employment, you may be able to roll over your 403(b) plan into your new employer's retirement plan. Contact your new employer to see if such rollovers are allowed. While the IRS doesn't prohibit such rollovers, your new employer may. If you fill out the proper paperwork, which your human resources department should be able to provide, you can transfer the money from your 403(b) to a new retirement plan without paying any taxes. To transfer funds, you'll usually have to liquidate any investments you have in your 403(b) plan and reinvest the money in the options offered by your new retirement plan. The IRS allows rollovers from 403(b) plans to 401(k)plans if that's what your new employer offers. Also, you can set up an individual retirement account (IRA), and roll your 403(b) plan into it after you leave your job, even if your new employer has a retirement plan. As with a transfer to a new employer-based 401(k) or 403(b)plan, a rollover to an IRA is tax-free. One of the benefits of moving your money to an IRA is that your investment options will be nearly limitless compared with the choices offered by most corporate retirement plans. However, you will miss out on any matching contributions your employer makes to a workplace plan. Check to see if your new employer contributes to the relevant 401(k) or 403(b) before determining what you'll do. From an investment standpoint, probably the worst option you can pick when leaving a job is to withdraw your money from your 403(b) plan. In addition to missing out on future tax-advantaged growth, you'll pay ordinary income tax on any amount you withdraw from your plan. If you're under age 59 1/2, you may also face a 10 percent IRS penalty for an early distribution. However, if you need the money and are willing to face the consequences, you have the right to withdraw it when you leave your job. In certain limited circumstances, the IRS won't charge the penalty. Some employers will allow you to leave your money in a 403(b) plan even if you leave your job. Typically, your account balance will have to be at least $5,000 to choose this option. However, your former employer may allow you to keep your 403(b) regardless of its balance. Check with your former human resources department manager for the specific rules of your previous company. Even if you're allowed to keep the money in the plan, you won't necessarily be kept up-to-date on any plan information if you're a former employee. Also, 403(b) plans sometimes have relatively high management fees. CNNMoney: Ultimate Guide to Retirement: What If I Leave My Job?